FORT LAUDERDALE, FL--(Marketwired - September 22, 2015) - When Chris Munro, founder of private investment partnership AVC Partners, was relocating from Atlanta, GA, to Florida with his wife, he used his business contacts within the Young Presidents' Organization, the world's premier peer network of chief executives and business leaders, to find a seasoned luxury residential Realtor in the community. Chris Jamroz, President and COO of GardaWorld, the largest privately-owned business solutions and security services' company in the world, recommended Michelle Farber Ross, broker and managing partner with MMD Realty/Prestige Estate Properties, based on his successful transactions as an existing real estate client of Ross. Ross found the Munros a 10,421-square foot estate, overlooking the Intracoastal Waterway in Point Manalapan. The estate home was perfect for entertaining and enjoying the beautiful South Florida weather and lifestyle. It had seven bedrooms, seven full and two half baths, a four-car garage, billiard room and outdoor bar. The estate sold for $5.9 million. 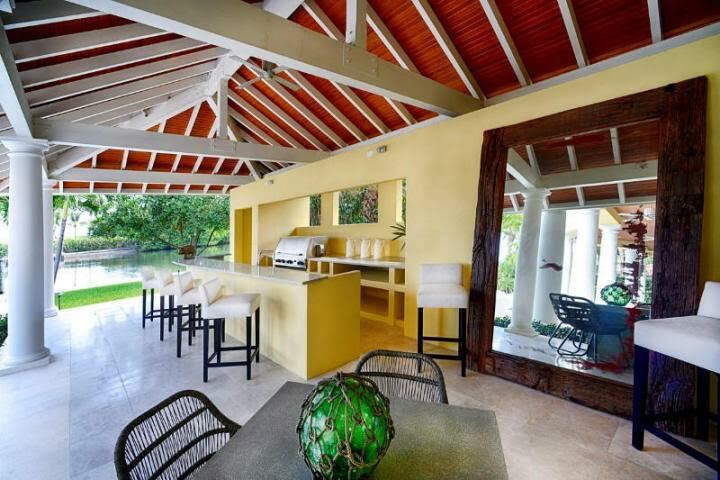 "Michelle came highly recommended as an expert in luxury residential real estate," said Munro. "We had a brief chat about our needs and as a result of her experience, market knowledge and reading between the lines on our needs and desires, Michelle did a quick analysis and found us the ideal home in Manalapan. Though the deal did come with some challenges, Michelle worked diligently to overcome them. The owner was in Singapore so Michelle spent lots of time at odd hours communicating with him and getting us the details we needed. She was always on call and easy to connect with as was her team. We did final negotiations over weekends due to time differences and had a very pleasant closing process. Michelle was completely professional and easy to do business with. She's one smart and classy lady. I'd recommend her to all of my business associates." He added, "My business is about helping companies accelerate their value creation -- it was nice to have someone on my team helping me do the same!" Ross is an expert in luxury residential real estate and does a good percentage of her business as the result of referrals. MMD Realty/Prestige Estate Properties is also easy to find online at www.mmdrealty.com and www.PrestigeEstateProperties.com as well as on social media listed below. MMD Realty/Prestige Estate Properties was founded by Dan Marino, Mike Wekerle and Michelle Farber Ross. 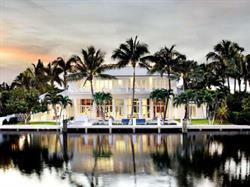 They are known internationally for selling super premium luxury real estate throughout South Florida. 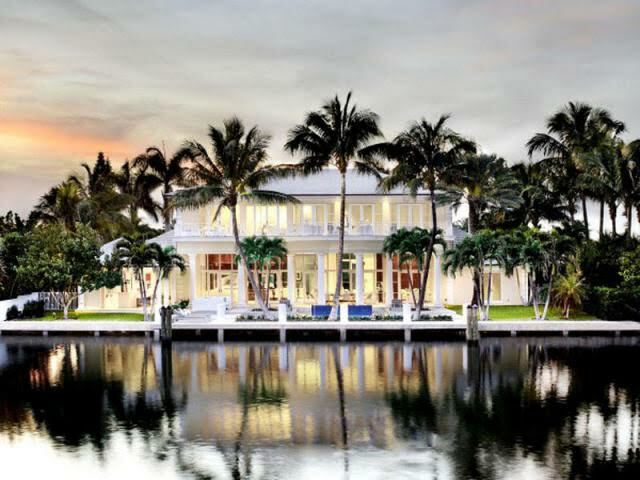 They provide the most innovative and aggressive marketing platforms for South Florida's exclusive multimillion dollar properties featuring luxury homes for sale. Through MMD Realty's luxury real estate division Prestige Estate Properties, their clients' properties gain global exposure in emerging markets. MMD Realty/Prestige Estate Properties is located at 2896 East Sunrise Boulevard, Fort Lauderdale, FL 33304. Phone 954-835-5500. MMD Realty/Prestige Estate Properties' Palm Beach office is located at 1885 S.W. 4th Avenue #E-3, Delray Beach, FL 33344. Phone 561-235-9503. MMD Realty/Prestige Estate Properties' Canada Marketing Office is located at 372 Bay Street, Suite 200, Toronto, Ontario, Canada M5H 2W9. For additional information, visit www.mmdrealty.com or www.PrestigeEstateProperties.com. The exterior of the $5.9 million home closed by MMD Realty in Manalapan. The luxury residential home in Manalapan that sold for $5.9 million by MMD Realty.